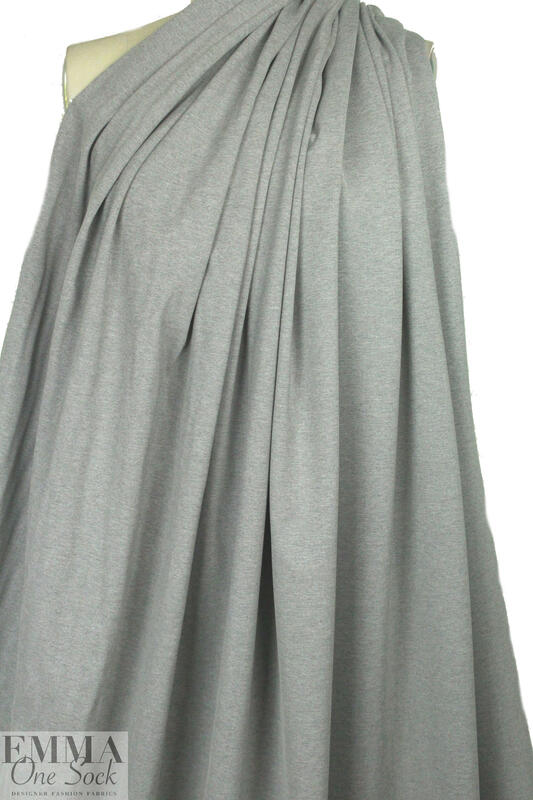 This gorgeous high percentage rayon blend ponte 4-way stretch knit is a fantastic basic! 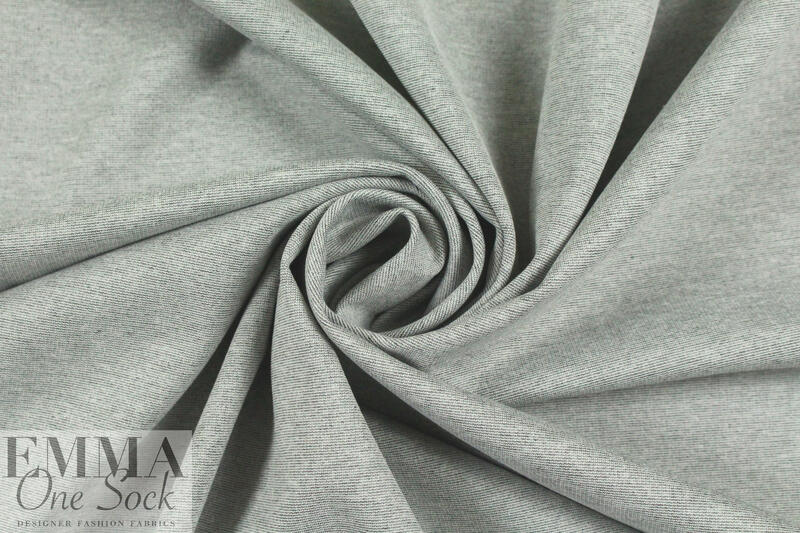 The color is a micro-stripe mix of granite and white that reads as a light gray color (PANTONE 16-0000-ish), and it's opaque, substantial, and elastic with terrific recovery and a lovely drape that has some body. 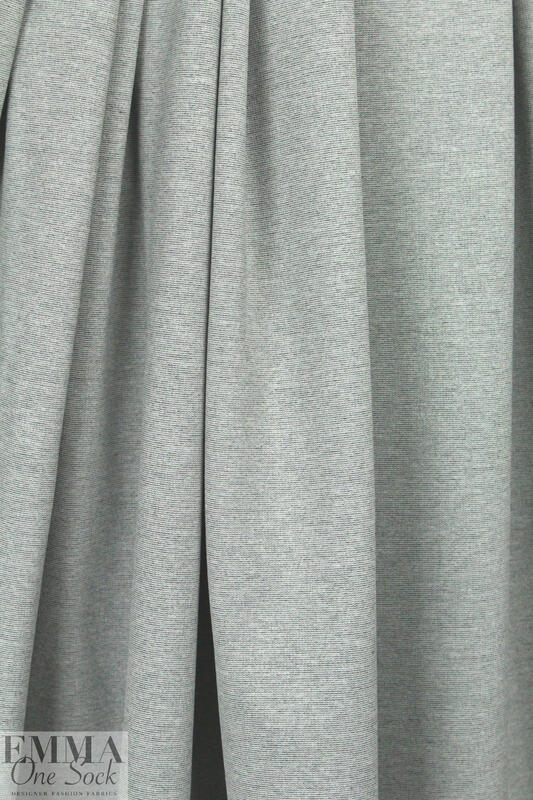 Excellent quality, and perfect for skinny pants, knit dress, knit suiting, body-hugging jackets or cardigans, etc. About 50% stretch in the width and in the length, but it's quite stable. Test first if you would like to hand or machine wash cool, and hang to dry. 1 yard.